Did you know that deficiency of vitamins could give rise to countless health disorders? 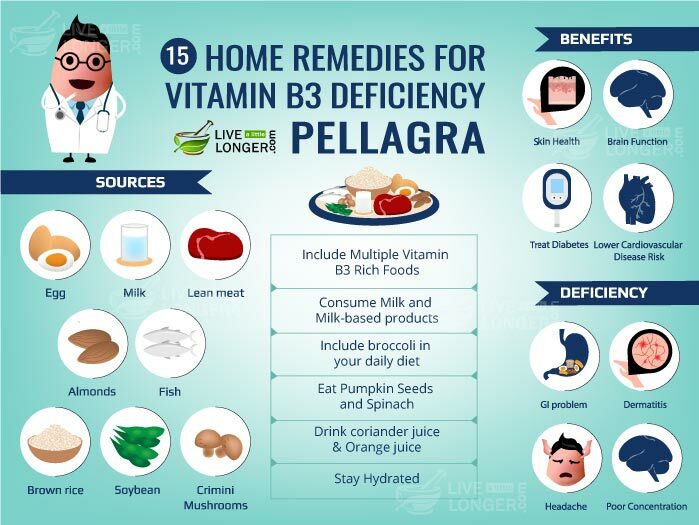 Though there are numerous of them, today we will focus on telling about pellagra or vitamin B3 deficiency. No matter what the sickness is, there is always a solution. 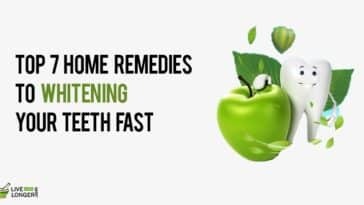 Listed here are some home remedies for pellagra too. Before we list them to you, let’s look at its causes, symptoms, and precautions first. The primary pellagra occurs because of an insufficient amount of tryptophan or niacin in the diet (mainly found in poor countries). Secondary pellagra– Niacin is present in the diet, but the two major factors for metabolism absorption and processing are absent. 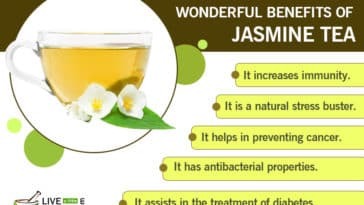 Causes include – liver cirrhosis, gastrointestinal diseases like ulcerative colitis, prolonged diarrhea, alcohol abuse, gastrointestinal disease, carcinoid tumors, HIV/AIDS and anorexia. Excess intake of leucine-based foods (soybeans, seafood, beans, ) can also lead to symptoms of pellagra. 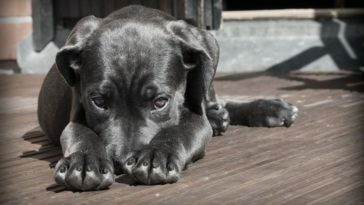 If left untreated, the disease can turn fatal and may end in death. 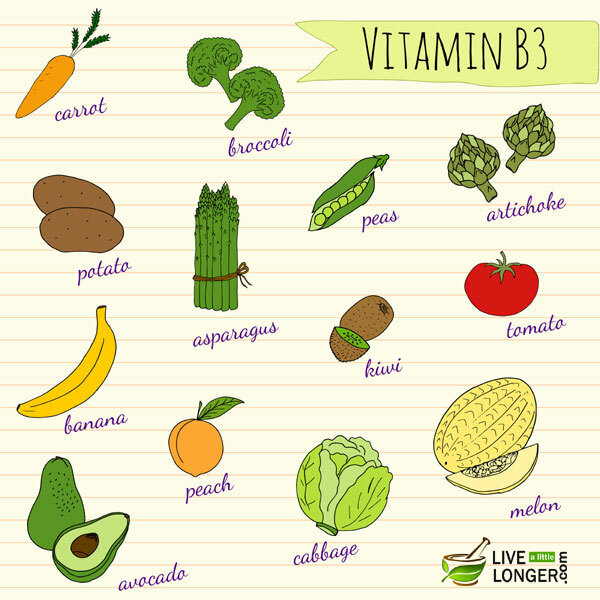 So, with the help of tips listed below, you will be easily able to overcome vitamin B3 deficiency or Niacin deficiency. Step 1: Take 3 to 4 fresh oranges. Step 2: Slice each orange into half and then squeeze into a clean glass. Step 3: You can even use a juicer for this, in case you want less pulp. Step 4: Strain and drink it. Do not add sugar or any other artificial flavor. Consume it natural. Protein is one of the best sources to improve your immune system. Enriched with vitamin C, oranges help reduce weakness from the body and improve stamina at the same time. However, the best benefit of fresh oranges is their healing properties. They contain flavonoids like hesperidin and naringenin, which are well known for their anti-inflammatory effects. According to whfoods, oranges are a great source of vitamin B3 (niacin) as well. They help absorb iron into the bloodstream. 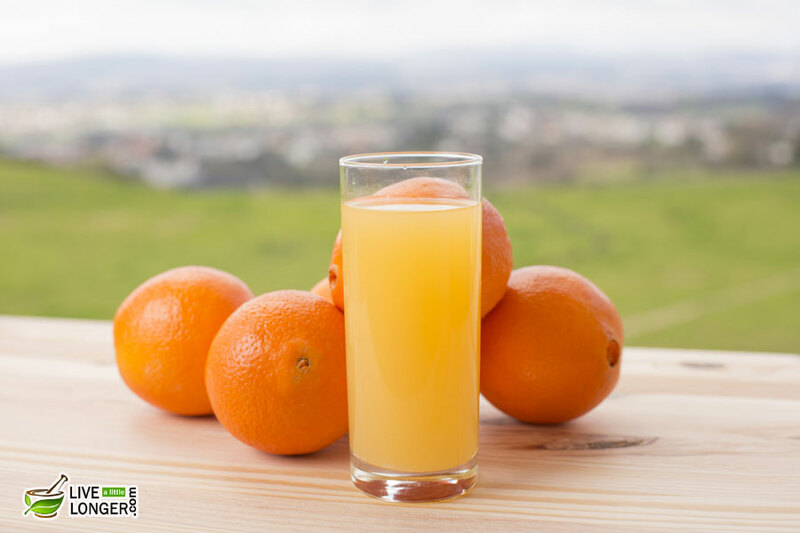 That is why most health experts and doctors recommend anemic patients to intake orange (raw or juice) on a daily basis. You suffer from abdominal cramps. You have a stomach ulcer. The citric acid in oranges can worsen the condition. 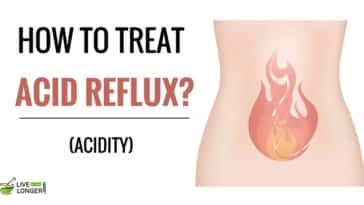 You suffer from heartburn, frequent headaches, and insomnia. 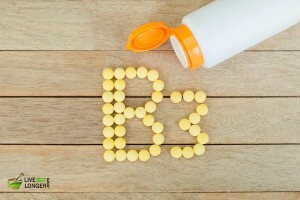 Vitamin B3 can cure this illness. Consume foods like yeast, animal liver, rice bran, bacon, chicken, fish, and peanuts. If you are suffering from pellagra symptoms, you can have these foods with lunch, breakfast or dinner. The level of niacin (Vitamin B3) will slowly build up, and you will be cured of the deficiency. The process of fortifying wheat flour and maize meal with essential nutrients of riboflavin, vitamin B3 (niacin), and thiamine were started in the United States in 1941 to reduce the outbreak of pellagra. Since then the process has been used as a standard practice. To overcome the symptoms of vitamin B3 deficiency (pellagra), drink plenty of water and natural fluids so that the toxins and free radicals are flushed out from the body. 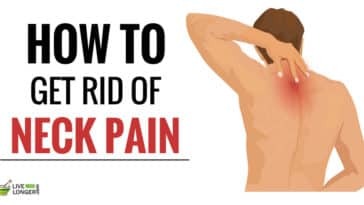 Inflammation may also be reduced to a great extent. Step 2: Similarly, clean the spinach to be included as an ingredient. Step 3: Mix the spinach in the bowl properly. For taste, you can add tomatoes and raisins. They can be used as anti-parasites. In fact, they are widely used in China to kill roundworms and tapeworms. The magic component is phytosterol that can protect the bladder and prostate and prevent cancer. Doubt that you are suffering from kidney stones? Eating these seeds as a snack can help reduce the level of oxalates that can promote the formation of stones in the urine. The minerals, vitamins, and nutrients present in pumpkin seeds are folic acid, thiamin, niacin, potassium, copper, zinc, and phosphorus. 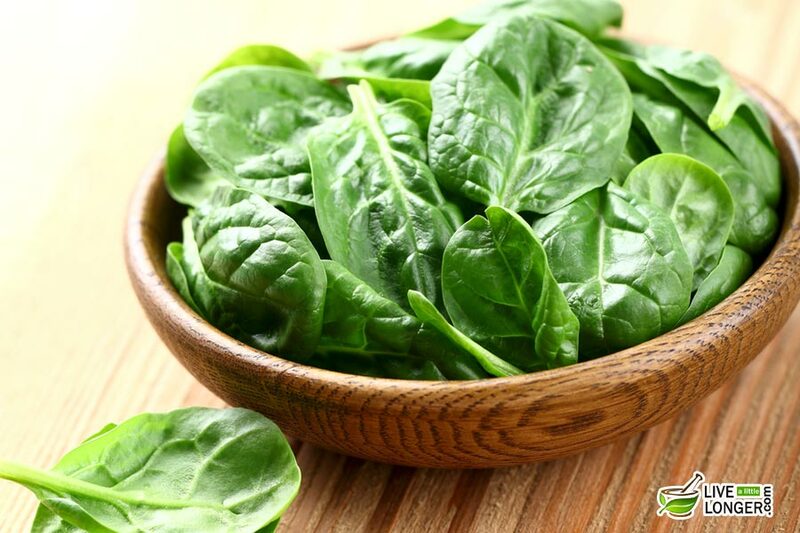 The spinach in the salad contains Vitamin K, Vitamin A, lutein, niacin, manganese, iron, Vitamin B6, Vitamin B2, Vitamin C, calcium, potassium, and zeaxanthin. 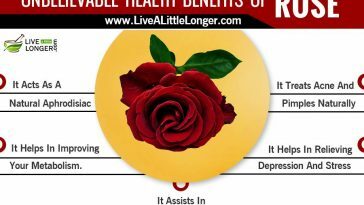 Vitamin K is responsible for the health of the nervous system and proper brain function. Vitamin A is needed for healthy eyes and for boosting immunity. It also has phytonutrients namely lutein, zeaxanthin, and beta-carotene to provide you with antioxidants. The other medicinal components are spinach also contains vitamin B3 or niacin, omega-3 fatty acids, selenium, pantothenic acid. A regular intake of this salad or foods containing vitamin B3 or niacin can help you get rid of Vitamin B3 deficiency and ultimately, pellagra. You have a stomach problem. Pumpkin seeds can cause stomach pain if you eat more than the regular dose. 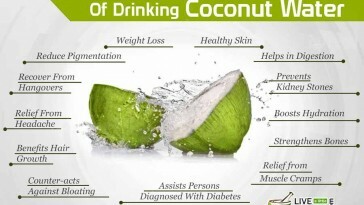 Kindly have with other foods to nullify the side effects. 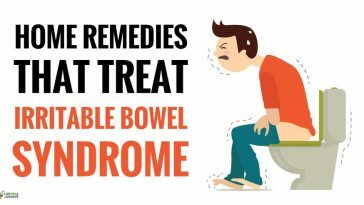 If you are taking diuretic drugs, these seeds can aggravate the situation, and you will have to visit the bathroom many a time. You are pregnant or breastfeeding a baby. Since no medical research has confirmed side effects, it is better to stay on the safe side and not having pumpkin seeds. You are having a kidney problem. 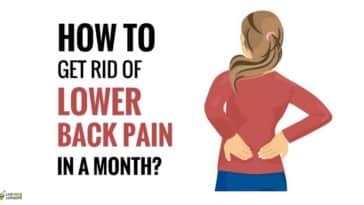 Kindly do not take spinach, as it contains purines, which can be turned to uric acid by the processes of human If the number shoots up, you can end up having more kidney stones. You have excess spinach. A large amount can lead to diarrhea. You can have a glass of warm water to speed up the digestion process. Step 1: Take two cups of oats along with a half bowl of almonds, blueberries, and milk. Step 2: Crush the almonds to small pieces and join with oats and milk. Step 3: Have a medium saucepan ready and cook the mixture over medium heat for five minutes. Step 4: Let the mixture become warm and you can then relish the food. You will get relief from fatigue, and the toxins will be eliminated. Having oats give you energy, protein, fat, carbohydrate, sugar in low content and dietary fiber. Some of the minerals presents are iron, magnesium, potassium, zinc, phosphorus. Among the vitamins present, thiamin, vitamin B3 (niacin), vitamin B6, vitamin E, vitamin K, folate, and riboflavin occupy a prominent place. 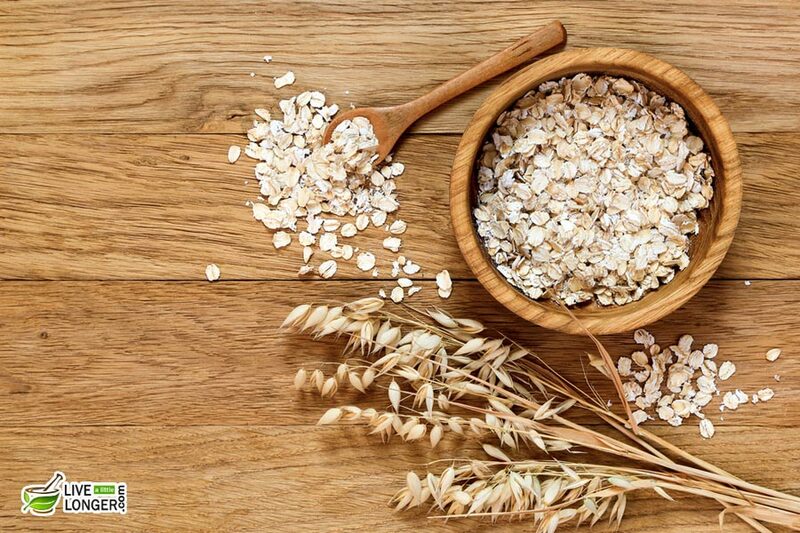 AHA (American Heart Association) has recommended the use of oats for cardiovascular diseases. Vitamin E can break complex substances (lipids) into simple compounds. Vitamin K assists in maintenance of bone health and can ward off diseases like cancer and Alzheimer’s disease and in this article case, pellagra. The oats contain selenium, which can boost positivity-based moods and helps in maintaining strong bones. Phosphorus present in oats is helpful in digestion. Antioxidants are also in plenty but on the external layer of oats. They are sterols, flavonoids, and phytic acid. The Almonds contain Vitamin E and magnesium – important for muscle and heart health. It contains many nutrients and fiber, which make you feel full. You are on antipsychotic drugs, blood pressure medications, antacids, or laxatives. Interactions may happen due to the presence of manganese in almonds. Do not take almonds if your digestion system is weak. Or else, you can have almonds and substantiate with a lemon juice or other fruit juices for digestion. You are on dentures while taking oats. The oats have to be properly chewed for digestion. Undigested and unchewed oats can make way for digestion problems. Also, refrain from taking oats if you are affected by intestine, stomach and esophagus problems. The best food for this vitamin B3 deficiency or niacin is milk and its products. If you hear milk, you will also have doubt as to why this liquid obtained from cows is commonly preferred. Milk is simply a liquid, which is created in the mammal’s body for feeding their young. Mother Nature has provided mammals with this gift so that easily digestible food is available to the young ones for consumption. The mother mammal gives milk to its little ones until they become capable of finding food by themselves. It is true that many mammals provide us with this liquid, but cow’s milk is the best, considering its variety of nutrients and easily digestible properties. The other advantage is that this milk is easily accessible while that of other domestic animals in different parts of the world, such as goats, camels, yak, and reindeer is difficult to acquire. You can either drink milk directly or get the maximum benefit when you consume dairy products such as butter, curd, ghee, yogurt and other supplements. The US Government has clearly mentioned milk as a vital part of the daily diet. Step 1: Buy pure milk from local produce. Step 2: Have milk after breakfast and before going to bed (with dates). The benefits of milk are strengthening of bones, making skin smooth, boosting the immunity of the human body and preventing osteoporosis. The ideal source of nutrients present in milk is Vitamin A, D, B12, phosphorus, riboflavin, zinc, Vitamin B3 (niacin), protein, magnesium, and selenium. Milk is perhaps one of the best resources of calcium. This mineral assists in the repair, the durability of bones and skeletal system, repair, function of body tissues, etc. You can lose water (our body mass is made of 80% water) because of dehydration, one of the symptoms of pellagra and by drinking milk, you can rehydrate the body. Regarding children, water is essential for healthy growth. When it comes to skin benefits, lactic acid present in milk assists in removing dead cells of the skin. The Vitamin A boosts the health of the skin as it plays the role of antioxidants. Consuming cold milk or yogurt can provide relief in times of acidity or acid reflux. You suffer from lactose intolerance. You will face problems such as bloating, gas, diarrhea, stomach pain, etc. For a better alternative, you can opt for soymilk, almond milk, etc. When it comes to healthy nutrition, eggs can be defined as the best staple diet, as they contain all the essential ingredients required by the human body. 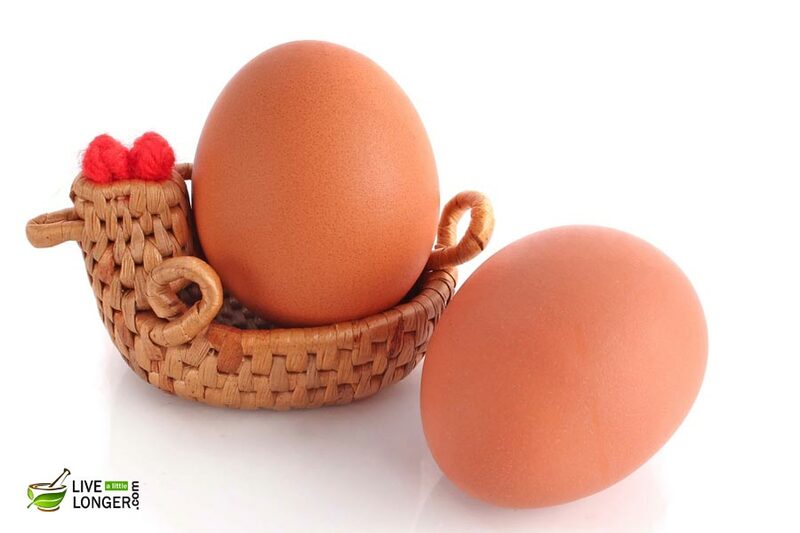 The best thing about eggs is that it prevents diseases like pellagra or any vitamin-deficiency disease. Similar to milk, eggs are easily available throughout the globe. You can have eggs in any form you can want, boiled egg, poached eggs, fried egg or even as omelets. The eggs contain Vitamin A, E, K and B complex vitamins. 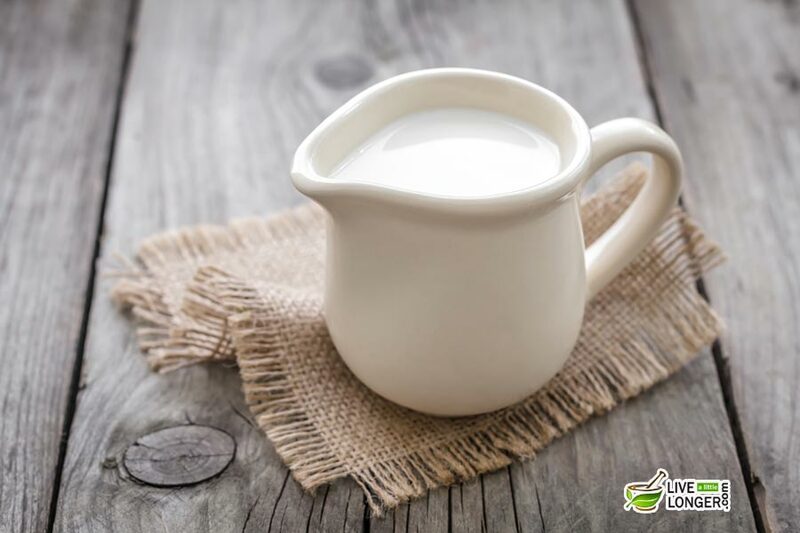 The minerals present in milk are calcium, zinc, selenium, vitamin B3 or niacin, phosphorous and other valuable components such as protein, antioxidants, and omega-3 fatty acids. Protein is necessary for cell re-growth and regeneration, and the Vitamin A present can prevent macular degeneration. You are suffering from obesity. Eggs have high levels of cholesterol. You have to ensure that the eggs you consume are free of Salmonella bacterium, which can reside both inside and outside of eggs. If you do not have poultry, keep eggs refrigerated at all times. You are pregnant, or you give the children uncooked or raw eggs. The same applies to even young children, old adults as they can have low immunity systems. Lavender, the very name reminds us of a fragrant smell and the term ‘aromatherapy.’ It can give relief from the sensation of burning. 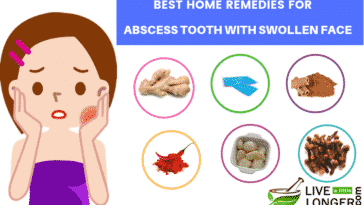 It soothes the skin from itching and other burning symptoms. Because of its anti-inflammatory properties, it can prevent the sores from a possible outbreak and formation of scales in the skin. 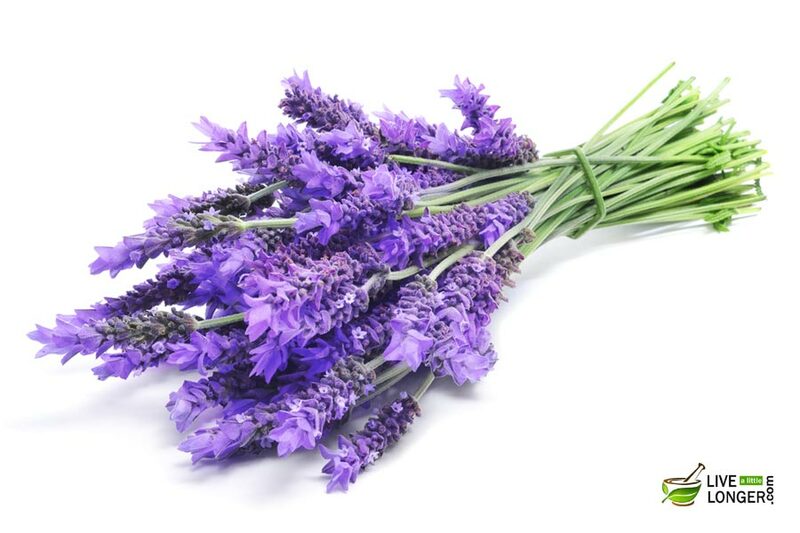 You can keep a bottle of lavender at home if you are prone to pellagra (only for topical application). 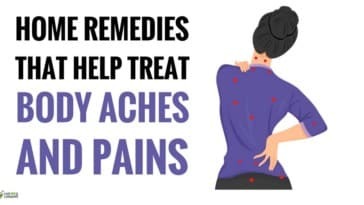 The best way to get relief from burning sensation and itching is to sprinkle some of the oil on the affected area. Similar to pellagra, you can also get relief from eczema, psoriasis, and acne. The health benefits for the skin can be envisioned to the antifungal and antiseptic properties. It can also heal cuts, burns, and sunburns. In the case of eczema, chamomile oil is mixed with lavender oil for treatment. The main oil constituents are linalyl acetate, camphor, terpinen-4-ol, and linalool. The other medicinal components are geraniol, camphene, neryl acetate, geranyl acetate, ß-caryophyllene, lavandulyl acetate and 1,8 cineole. In the case of pellagra, it soothes the skin, thereby curing the irritation and burning problems. You are allergic to plants in the mint family. 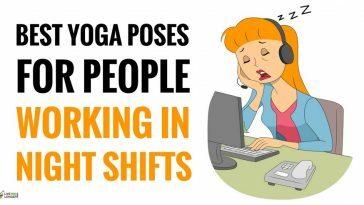 You can experience symptoms such as constipation, increased appetite, headaches, etc. 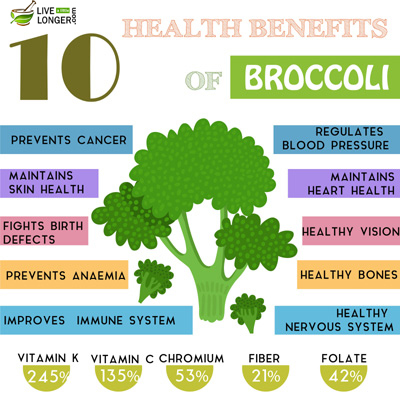 Due to its numerous medicinal and nutritional benefits, broccoli is often listed as a ‘superfood’. It enhances the digestive system, reduces cholesterol, aid in detoxification, promotes absorption of minerals and vitamins, prevents or balance allergic reactions. Also, the immune system gets a boost! The simplest way to prepare broccoli recipes is given here in this link. 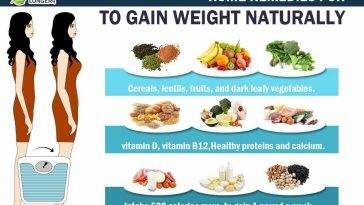 For food, you can have broccoli in the diet to get niacin. 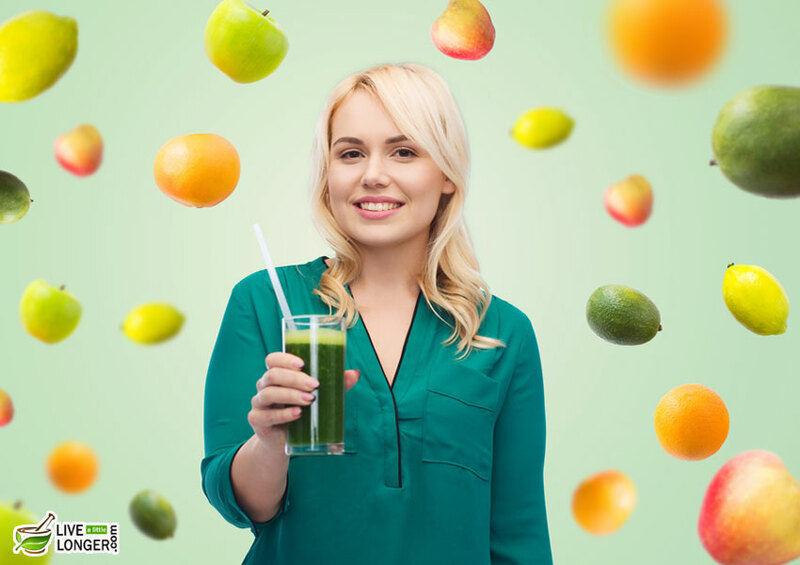 This green is an excellent source of many vitamins and minerals namely Vitamin E, Vitamin B6, Vitamin B1, Vitamin A, Vitamin B3 (niacin), pantothenic acid, dietary fiber and other trace minerals such as zinc, magnesium, iron, selenium and even omega-3 fatty acids. All these components assist in keeping the skin healthy and looking radiant, healthy and glowing. One of the important constituents is glucoraphanin, phytonutrients that can reverse the harmful effects of a suntan. So when every nutrient in the book is present here, it is a wonder that the harmful effects of pellagra can be easily reduced. You have an allergic rash. Have the dish (with broccoli) in moderation. 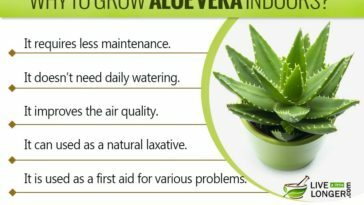 Similar to lavender, you can use Aloe Vera for topical application and digestion. Aloe Vera is used as a natural herb remedy for skin disorders. 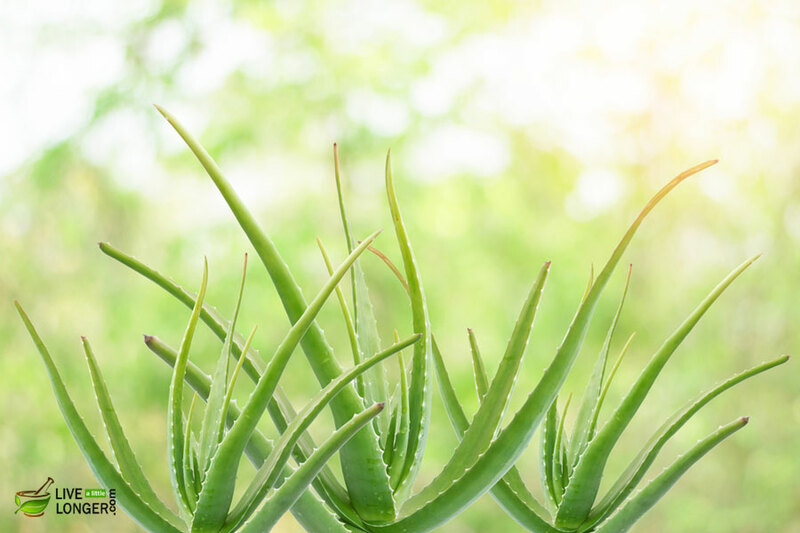 The anti-inflammatory properties and soothing effects of Aloe Vera can effectively treat burning sensations and itching problems associated with pellagra. The herbal gel also acts as a moisturizer and possesses antiseptic qualities. The vitamins found in Aloe Vera are folic acid, A, E, C, vitamin B1, vitamin B2 and vitamin B3 (niacin) and vitamin B6. A few of the many minerals found in Aloe Vera, which assists the body in many processes are iron, copper, manganese, potassium, zinc, calcium, chromium and sodium. Also known as an adaptogen, it can boost the natural ability of the body to resist illness and adapt as per the situation. That means, stimulating the defense mechanisms and the ability to cope with environmental & emotional stress, which includes even pollution. 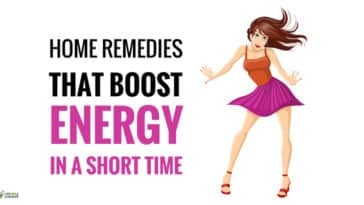 Since you suffer from fatigue, the metabolism will be at a low. The gel can cool and eliminate the toxins from the digestive tract. Since pellagra is related to skin problems, application of aloe gel topically can make it flexible because of its emollient properties (collagen and elastin). The oxygen supply to the cells is unhindered; the skin tissues are strengthened, and there will be enhanced blood flow to the skin cells because of capillary dilation. So as now, the scaly skin because of pellagra will get a moisturizing effect. Aloe increases the elasticity of the skin making it more flexible through collagen and elastin repair. Aloe is an emollient, helping to soften and soothe the skin. It helps supply oxygen to the skin cells, increasing the strength and synthesis of skin tissue and induces improved blood flow to the skin through capillary dilation. The main components to make marks are emodin and aloin, which possess antiviral and antibacterial properties. The skin during pellagra is prone to cracks. The symptom can be prevented when you apply aloe vera gel to the affected areas. A regular application of Aloe Vera gel can give you positive results. You are allergic to plants of the Liliaceae family, similar to tulips, onions, and garlic. You can also have aloe gel as food or for medicine. But refrain from taking the gel if you are diabetic, as the blood glucose levels have to be monitored by a healthcare professional. Coriander leaves are one of the best home remedies for pellagra. You can use for repairing the skin and coriander leaves can be used as food for getting sufficient quantity of vitamin B3 (niacin). Here is what you need to do. Step 1: Take two handfuls of coriander leaves and soak in a bowl of water before going to bed. Step 2: Strain the leaves and drink the water in the morning to get niacin. The two magical components, which can help in the condition of pellagra, are cineole and linoleic acid. 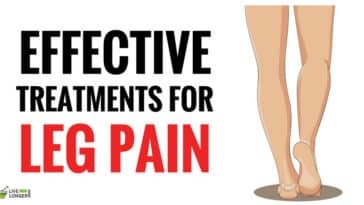 They both possess anti-arthritic & anti-rheumatic properties. When the inflammation of the skin is reduced largely, the body returns to normalcy slowly. 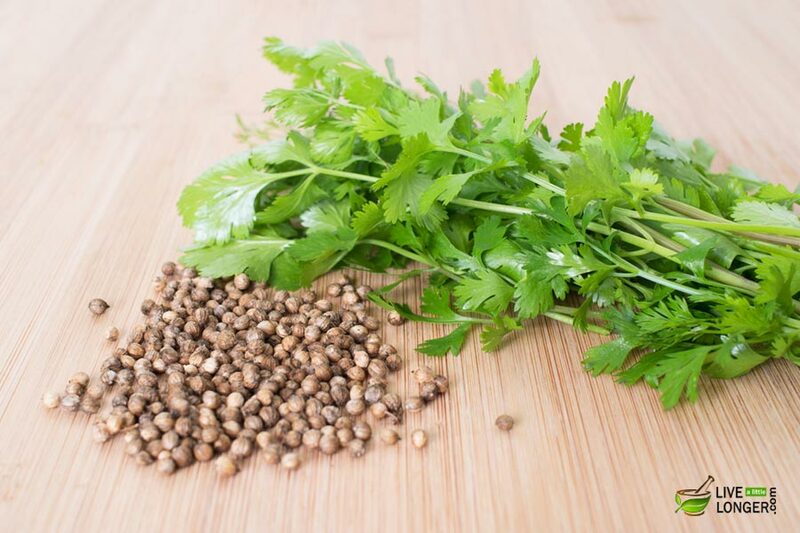 The high volume of iron present in coriander assists people who have low immunity and a reduction in other body functions to get better (regarding pellagra). You include an excess of coriander leaves in the diet. Some people have complained of sensitivity to sunlight, and this could lead to skin cancer in the long term. You are pregnant. 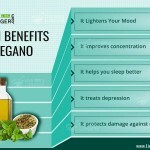 Medical research is still going on, for the benefits of these leaves. It is better to have a consultation with your health provider before opting to include coriander in the diet. Step 1: Take four teaspoons of fenugreek seeds and one bowl of water. Step 2: Boil the bowl for ten minutes and cover the bowl with a lid. Step 3: Steep the mixture and consume the water two or three times a day. To get maximum benefits, you can have water as the first option in the morning. 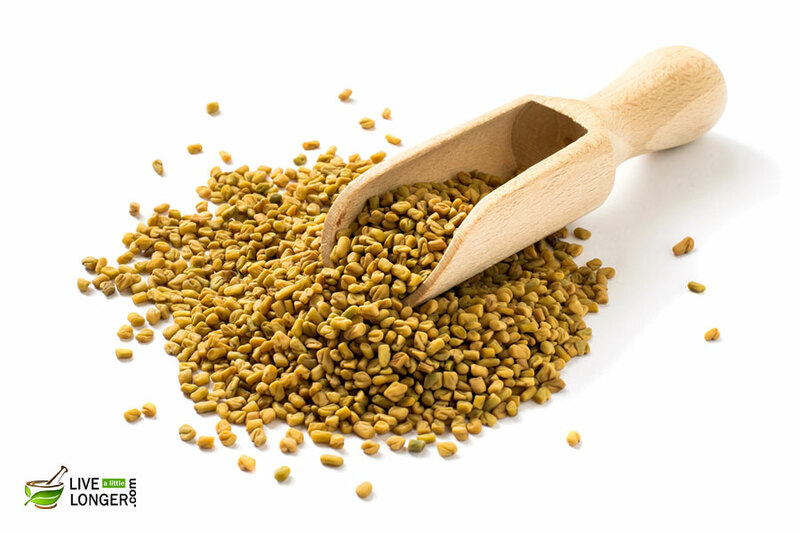 The leaves and seeds of fenugreek have an aromatic odor, and they can be used as flavoring ingredients. You would be surprised to know that the seeds have a bitter taste, but will lose this property when they are roasted slightly. The nutrients essential for the body in fenugreek seeds are thiamin, riboflavin, vitamin C, vitamin A, vitamin B6, and vitamin B3 (niacin). They are also rich sources of minerals such as calcium, potassium, zinc, magnesium, manganese, iron, and copper. Other than Vitamin K, fenugreek seeds contain plenty of phytonutrients such as tigogenin, neotigogens, choline, gitogenin, diosgenin, and yamogenin. Because of the symptoms of pellagra, you can have a poor digestive system. 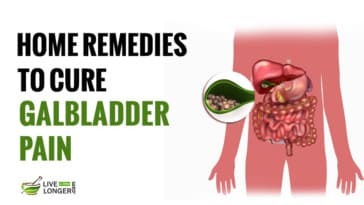 In the case of stomach ailments such as acid reflux or heartburn, the mucilage present in these seeds soothe the inflammation, and coats the intestinal and stomach lining. Some of the benefits fenugreek seeds can help cure are — constipation, indigestion, ulcers in the leg, lack of appetite, inflammation of lymph glands, wounds, etc. You are pregnant. Refrain from consuming fenugreek seeds as you can suffer miscarriage or the babies might suffer from defects. 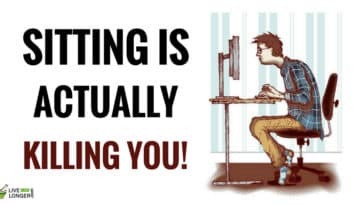 You can also suffer from internal bleeding. You are allergic to fenugreek. Some of the side effects are breathing difficulty, swallowing of food and chest pain. If you are new to fenugreek seeds, have a little volume of seeds at the first time to check for symptoms in case of doubts. You should not administer any these seeds’ dosage to children. Some children have suffered unconsciousness. You are diabetic. The blood sugar levels can become affected, and you may suffer from hypoglycemia. The symptoms of pellagra are such that it deactivates your positive moods. 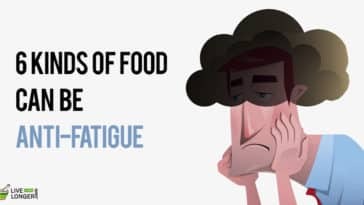 You can suffer from fatigue and lack of appetite. You can also have diarrhea or nausea. So, a combination of fish and ginger recipe will be the best bet for you. Some of the famous ginger tuna recipes are ginger marinated tuna steaks, ginger lime; garlic seared tuna and pan-seared tuna with ginger-shiitake cream sauce. The specified fish contains nutrients such as omega-3 fatty acids and more than the required amount of Vitamin B3. 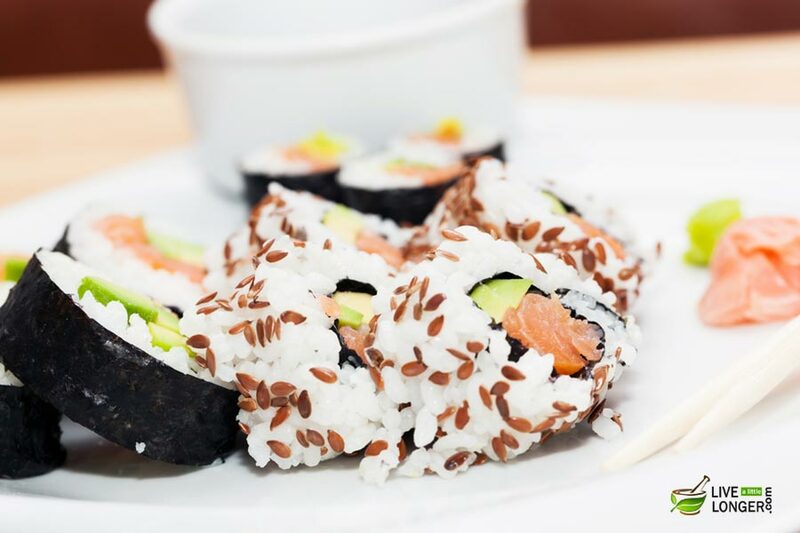 You can also have mackerel and bluefin tuna, wild salmon, swordfish, halibut, farmed salmon and skipjack tuna. Ginger, on the other hand, contains the medicinal components, namely gingerols and shogaols. They provide the best relief in times of stomach upset, nausea, etc. Niacin is also present in trace amounts in ginger. 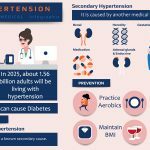 The other component to be taken into account is glycyrrhizin having hypertensive properties. 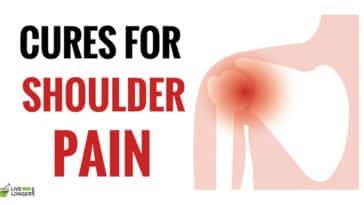 This component can increase blood pressure and assist persons suffering from fatigue. You have a bleeding disorder or pregnant. Refrain from adding ginger to the diet as it can increase your risk of bleeding. In the case of pregnancy, there are some instances of miscarriage. Stay on the safer side. You are diabetic. The sugar level might become low, and it has to be monitored. One of the many herbs, which have to be on your plate, is none other than asparagus. 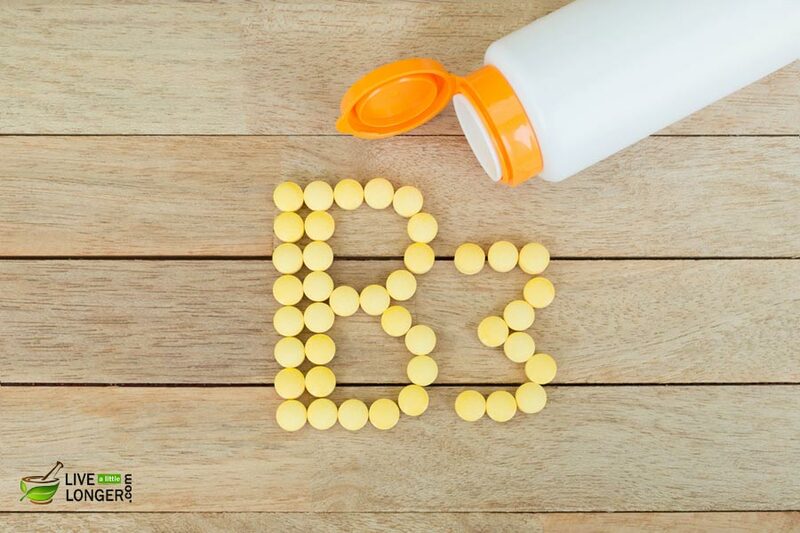 It can take the entire responsibility of fulfilling the lack of vitamin B3 in the body. Thus, reduces and wards off pellagra. Due to lack of appetite, the metabolism will be weak in pellagra-affected patients. The complex carbohydrate, called as inulin (prebiotic) can get digested only in the large intestine by stomach-friendly bacteria such as lactobacilli. You get the additional benefits of proper absorption of nutrients and less risk of allergies and other rampant behavioral mood changes. Steak and asparagus stir-fry – click here for the recipe. Asparagus beef – click here for the recipe. When choosing the latter option, choose grass-fed beef. Well-known as an anti-inflammatory medicine, you can get relief from the burning and itching sensations if you consume asparagus. It has vitamins such as A, B1 (thiamine), B2 (riboflavin), our desired component, vitamin B3 (niacin), B-6, folate, Vitamin C, and Vitamin E.
The saponins present in this herb display anti-inflammatory properties. Another medicinal component is rutin (a flavonoid), which can prevent clotting of blood. 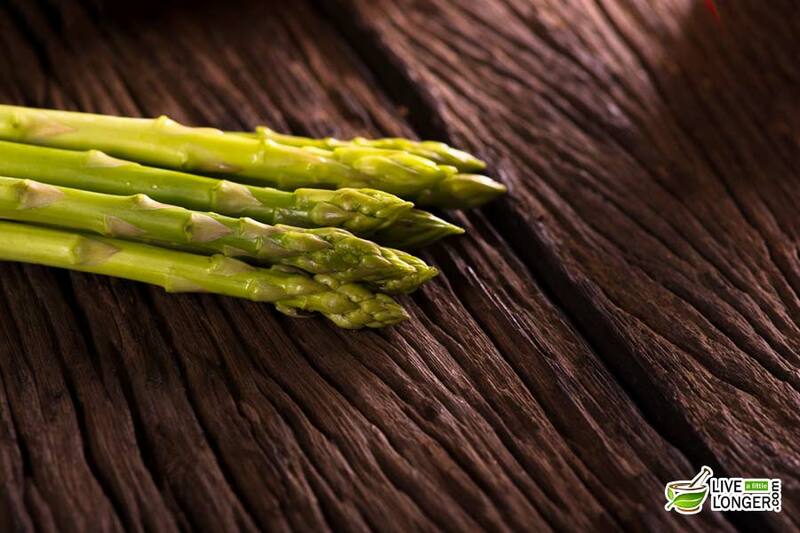 Non-absorption of vital nutrients may cause the body to develop cramps that can be solved by the use of asparagus. A recent study of children and teens in the U.S. has shown that individuals in these age groups depend on their intake of beef for the following key nutrients such as iron, potassium, vitamin B2, vitamin B3, vitamin B12, protein, selenium, phosphorus, and zinc. You have a digestion problem. The complex carbohydrate, raffinose present in asparagus is difficult to break down and in the process; you might have to suffer bloating. You are pregnant or breastfeeding a baby. The hormonal balance goes haphazard after consuming the herb. It is advisable to have a consultation with the doctor in case of similar situations. You are allergic to leeks, onions or the lily family. You may suffer from allergic reactions. You are having a history of kidney stones or gout stones. Refrain from having asparagus or beef in the diet as it contains purines, which can contribute to the formation of kidney stones. Chicken meat has plenty of your required vitamin – B3 (niacin). 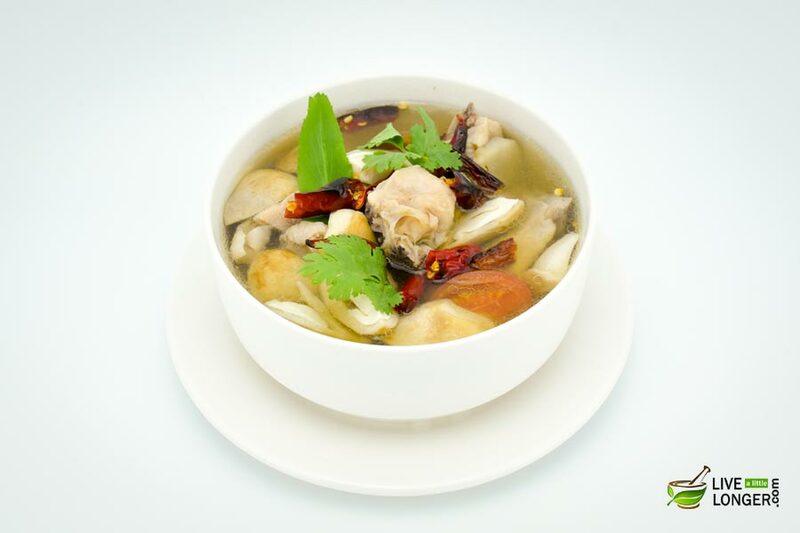 You can have a chicken soup to satisfy all the nutritional needs. If you have made the soup with superfoods such as garlic, ginger, thyme and other spices, it will be one of the best health drinks. To make a healthy chicken soup, click here. Vegetables like onion and garlic have many immune boosting ingredients, which can make the body healthy. So, when mixed with your chicken soup, they can be a great plus. Chicken, on the other hand, is a rich source of protein and vitamins that can supply every nutrient in the book to the body. Cysteine is an amino acid present in chicken that thins out mucus in the lungs and makes it easy for expulsion. The carrots and celery have beta-carotene and celery, assist the body in boosting the immune system as well fight infection. Garlic contains the magical medicinal component allicin known for its antifungal and antibacterial properties. Onions on the other part have many antioxidants, which can ward off free radicals. For example, sulfur and quercetin are the main components, which can destroy harmful pathogens. Chicken, while filling, is good for more than just a meal. It contains cysteine, an amino acid that is thought to help thin mucus in the lungs, making it easier to expel. Carrots (contain beta-carotene) and celery (contains vitamin C), both of which help to bolster the immune system and fight infection. Onions in your chicken soup provide the benefit of antioxidants that reduce inflammation and act as an antihistamine. If you are affected with pellagra, it is better to avoid sunlight, as the skin can become very sensitive. The side effects you can experience are red skin, blisters, etc. This is due to the loss of moisture, and the skin becomes flaky or dry. A kind request to avoid harsh sunlight until the symptoms of pellagra are fully treated. Slo-Niacin, Niacor, Nicotinex, B3-500-Gr, Niacin SR, and B-3-50. The other over-the-counter medicines are Niacin Flush Free Oral, niacinamide oral, Niacin No Flush oral, niacin (inositol niacinate) oral and Niacin (niacinamide) oral.